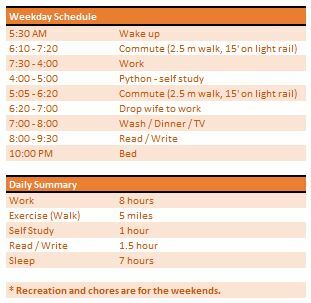 This looks dull – but how physically and intellectually fit might this make me. An IBM guy on a podcast I listened to last week said: When people say they don’t have time, that’s BS. It just means they are not a priority. This stung. I need to make a few things a priority. The goal is to end the summer gaining some expertise in data wrangling, getting a good workout (and detoxing), and writing (should it go away). This entry was posted in FI on March 25, 2019 by gofi.